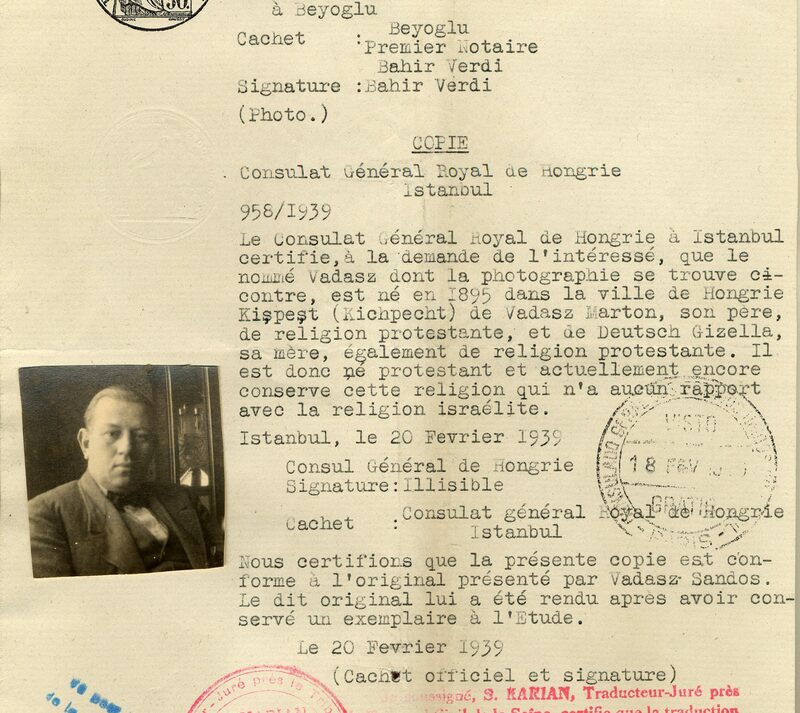 This religion certificate is a French translation of a Turkish document, dated February 20th, 1939. It declares that Sandor Vadasz is born Protestant to Protestant parents and that he has no links to Judaism. 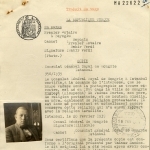 The document has the seal of a French translator dated 1948, as well as stamps from the French Republic and the Brazilian consulate. This religion certificate is a French translation of a Turkish document, dated February 20th, 1939. It declares that Sandor Vadasz is born Protestant to Protestant parents and that he has no links to Judaism. 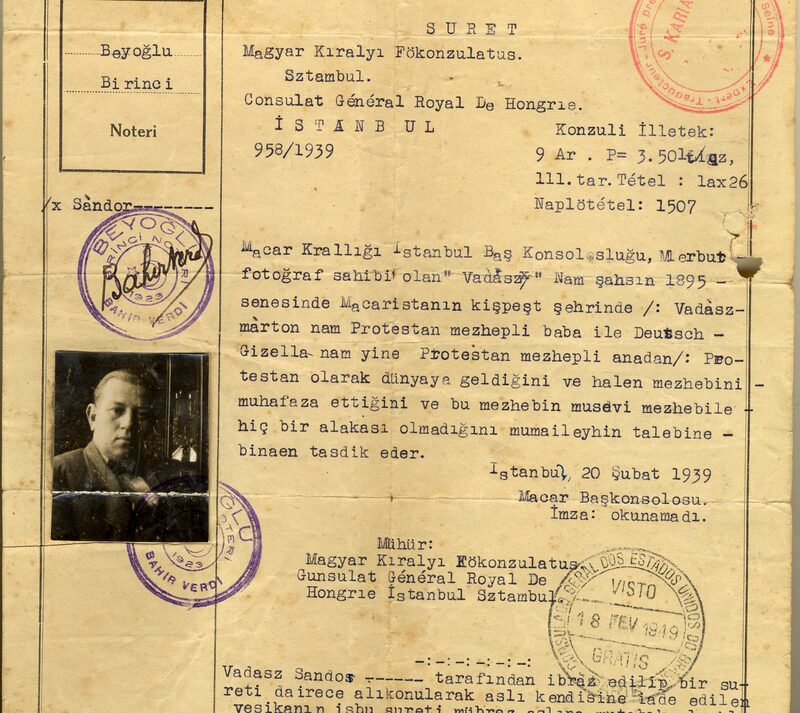 The original document was produced in Turkey in 1939. 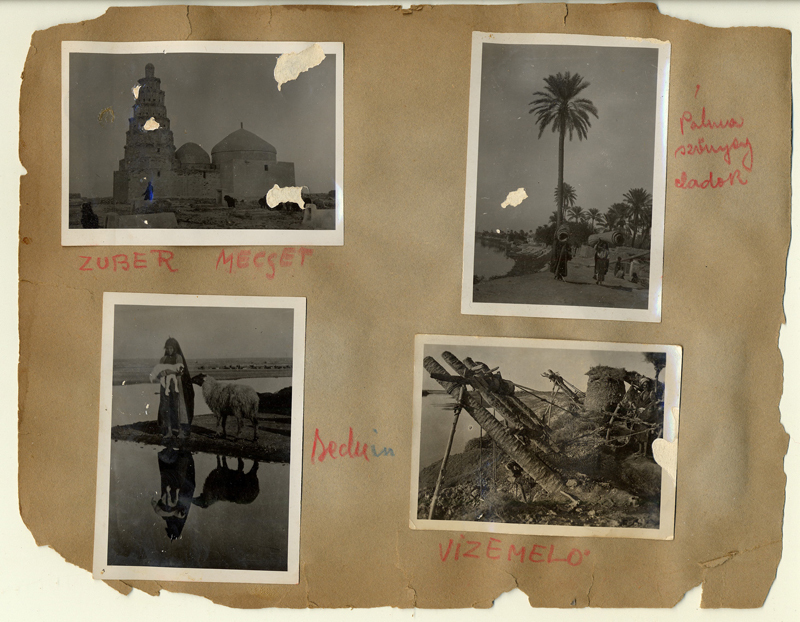 The photo album of Julianna Vadasz during their stay in Africa. 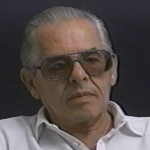 Sandor left Hungary in 1938 with his wife Julianna Lukacs and his mother-in-law. They went to Turkey where Sandor worked as an engineer. 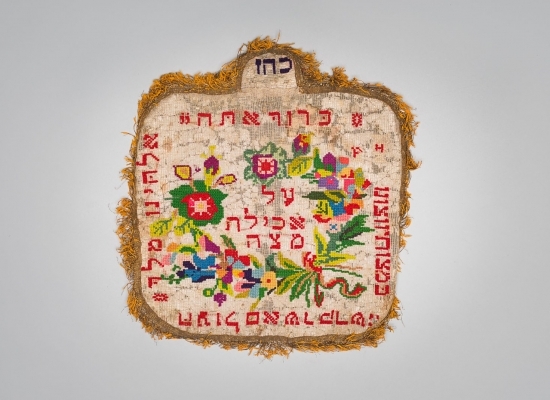 As the German army advanced throughout Europe at the beginning of the war, this religion certificate served as an important protective measure to avoid being arrested and deported. Sandor and his family moved to Africa. In 1942, they arrived in Uganda, a British protectorate, where Sandor enlisted in the East African Forces. 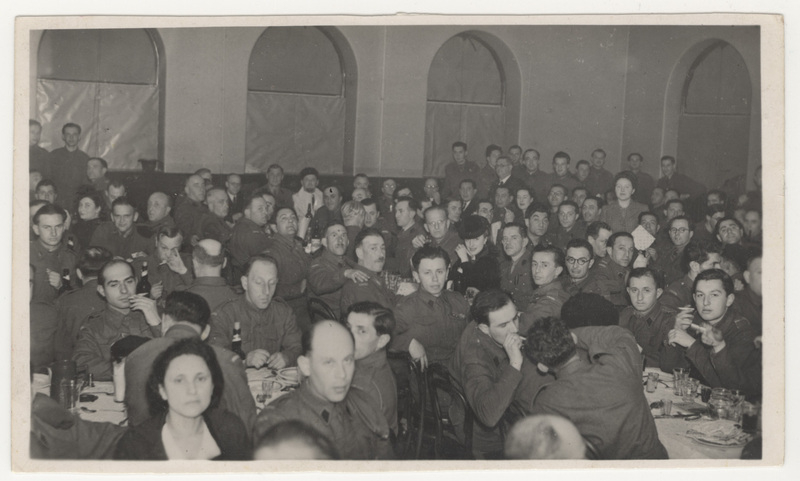 However, when Hungary became an ally of Nazi Germany, Sandor was placed in an internment camp for six years due to his Hungarian citizenship. After the war, Sandor, Julianna and her mother lived in Paris for one year before going to Rio de Janeiro, Brazil. In 1949, with help from the Canadian Jewish Congress, they settled in Montreal. 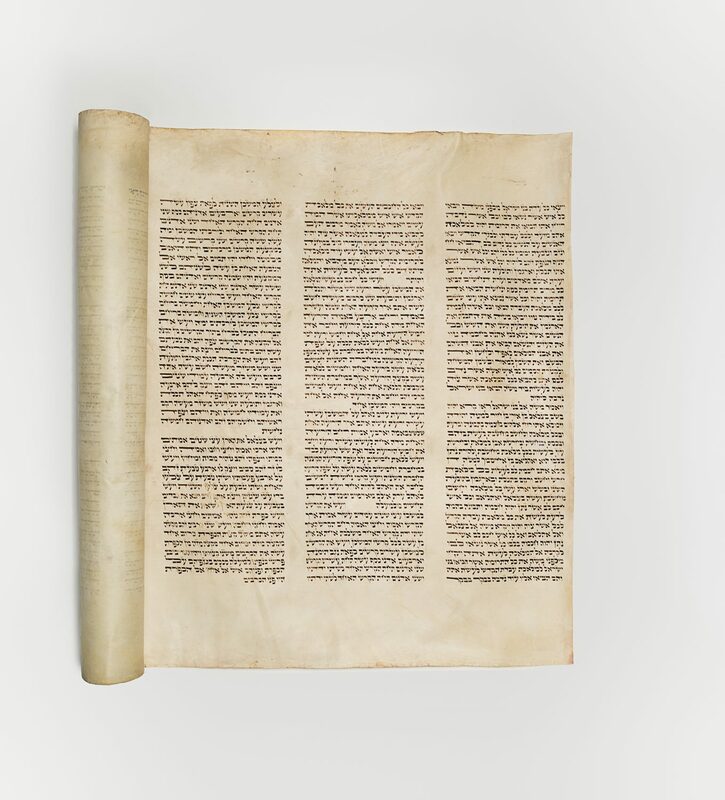 Evelyn Uditsky, a friend of the family, donated this document to the Montreal Holocaust Museum in 2010. Thomas Strasser recalls how Swedish diplomat Raoul Wallenberg saved him.